Another night with special guests, visuals & music. Kode9 vibrates parts other DJs can only dream of. His early DJ sets and radio shows helped spread the early dubstep sound internationally, but his sets now weave together an unpredictable, bass heavy mix of house, garage, dubstep, grime, footwork, hip hop, r&b, techno and jungle. 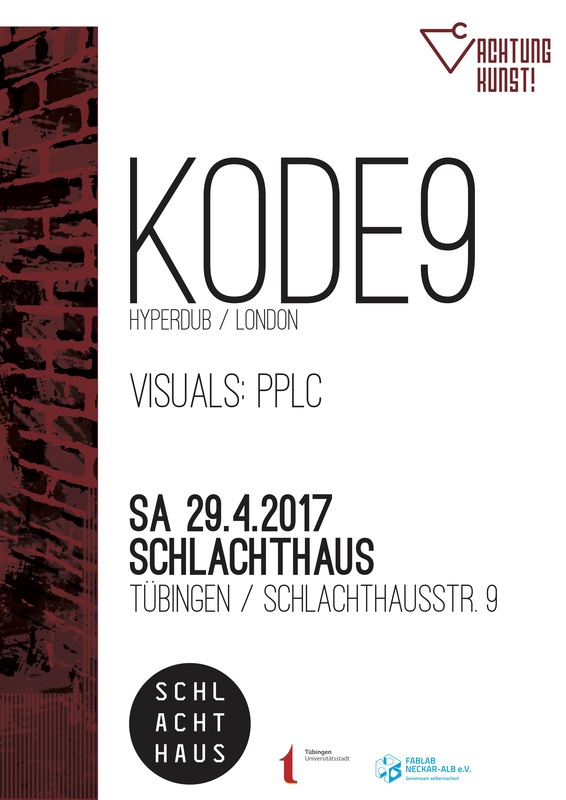 Originally from Glasgow, but based in South London since 2000, Kode9 set up the record label Hyperdub in 2004, infamous for unleashing artists such as Burial (and countless others) on the world. He has recorded 2 albums of his own with vocalist Spaceape; Memories of Future (2006) and Black Sun (2010) and released 3 DJ mix compilation, Dubstep Allstars vol.3 (Tempa 2006), DJ Kicks (K7 2011) and Rinse 22 (Rinse 2013). Kode9 has also released tracks on Aphex Twin’s Rephlex label, Soul Jazz and Rinse and remixed for Lee Scratch Perry for On U Sound, the Junior Boys for Domino, Battles for Warp, and Dabrye Feat. Doom for Ghostly. For 5years, he hosted the weekly Fwd>> show on Rinse FM, London’s leading pirate radio station, and was one of the rotating DJs at DMZ, and Fwd>>, the seminal early dubstep nights in London. He now co-hosts the Hyperdub monthly show on Rinse FM with Scratcha DVA. Kode9 has performed at Sonar Festival, Sonar Tokyo, Mutek, Glastonbury, Unsound, Melt and Coachella as well are gracing clubs nights across Europe, Asia, North and South America, Australia & New Zealand and South Africa with his unique selection skills.